Before I get to the yummy peanut butter recipe I baked for National Peanut Butter Day, I wanted to tell you about some exciting news. 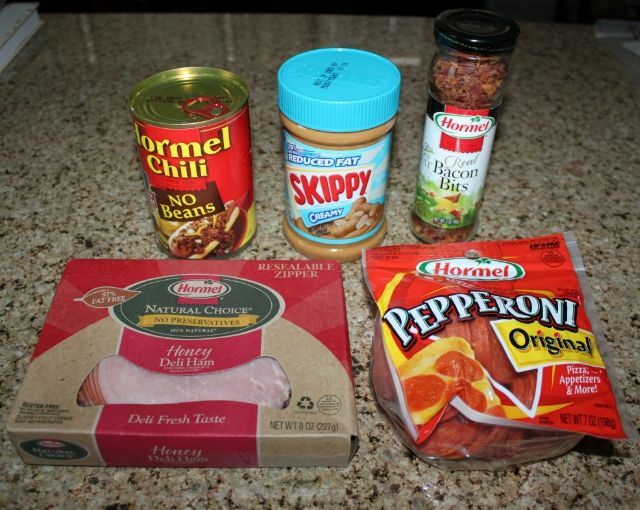 I am now a member of the Hormel Foods Extended Blogger Program. 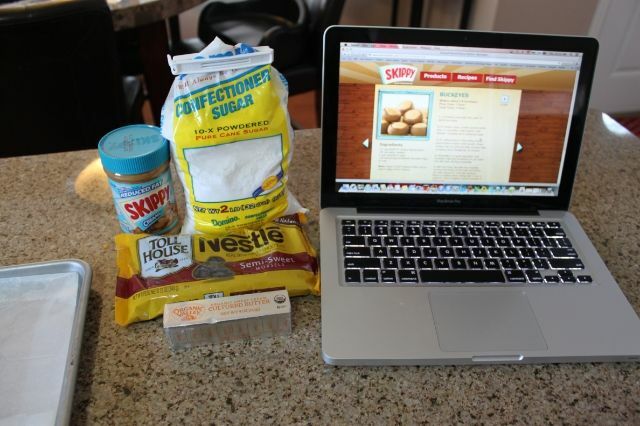 For the next six months I will be receiving free products so I can share recipes with my readers! Get excited, I have an amazing breakfast recipe to share next week using the bacon bits! 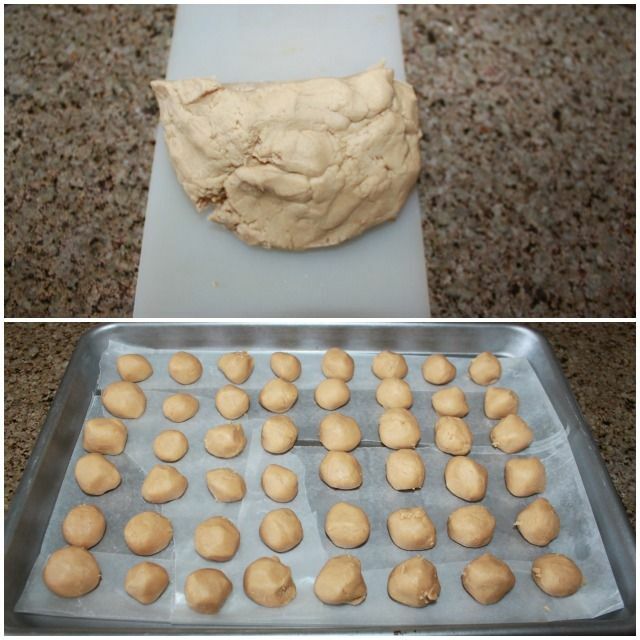 Since January 24th is National Peanut Butter day, I decided I needed to try a recipe using the Skippy peanut butter. 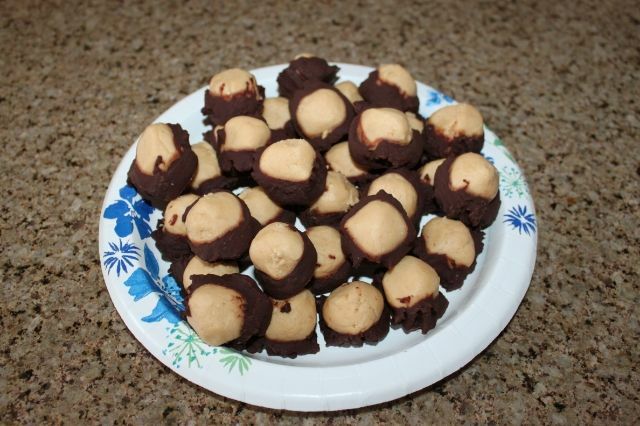 My entire family LOVES peanut butter and why not make a yummy desert midweek? 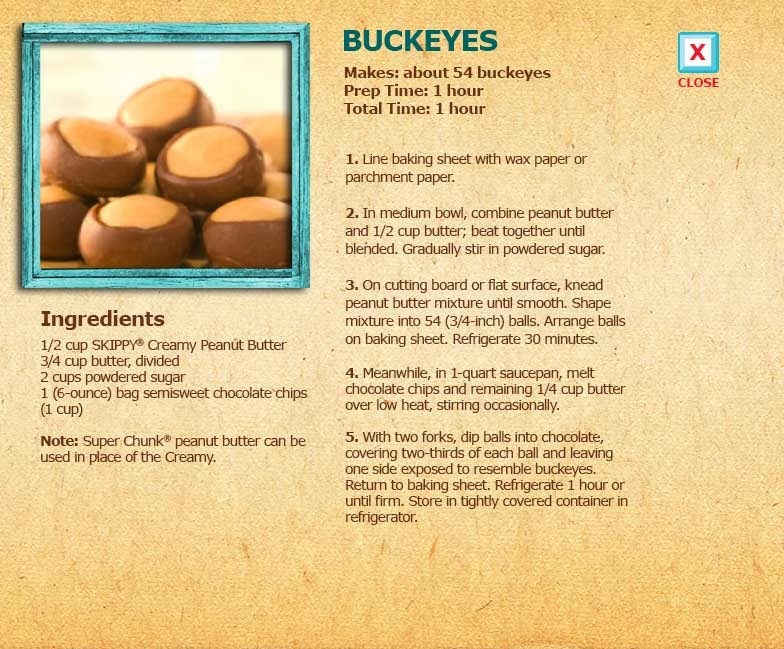 There are tons of recipes to choose from on the Skippy website, and the one that caught my eye right away were the Buckeyes. These are amazing! I can't believe I've never eaten a buckeye before this.